The Issue Monitor is Blank! 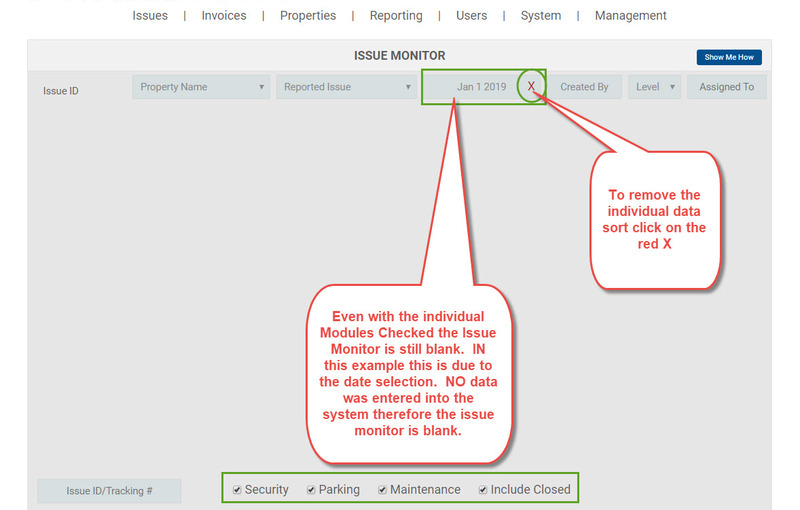 The issue monitor can also be used to sort the specific module used to create an issue such as Security, Parking, Maintenance and Open or Closed issues. 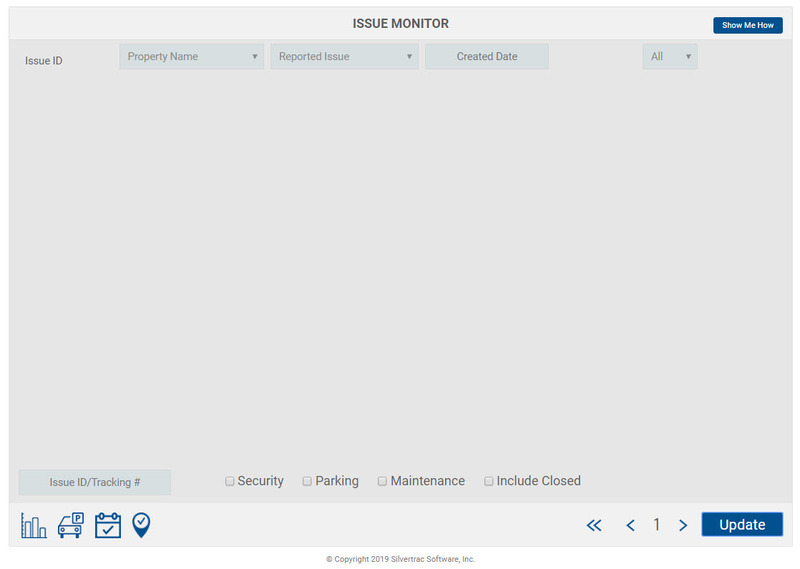 From time to time Support Technicians and Customer Success Mangers get reports from users that they have no data and their issue monitor is completely blank! Note that in the above screen shot neither the Security, Parking, Maintenance or the Include Closed boxes are checked. There is no data selected and therefore the issue monitor is blank. If you still experience issue with a blank issue monitor refresh the page and check your Internet connection. If after all troubleshooting efforts are complete and you still experience a blank screen and need further assistance please contact Silvertrac Tech Support at support@silvertracsoftware.com or 888-505-8722 ext 4.